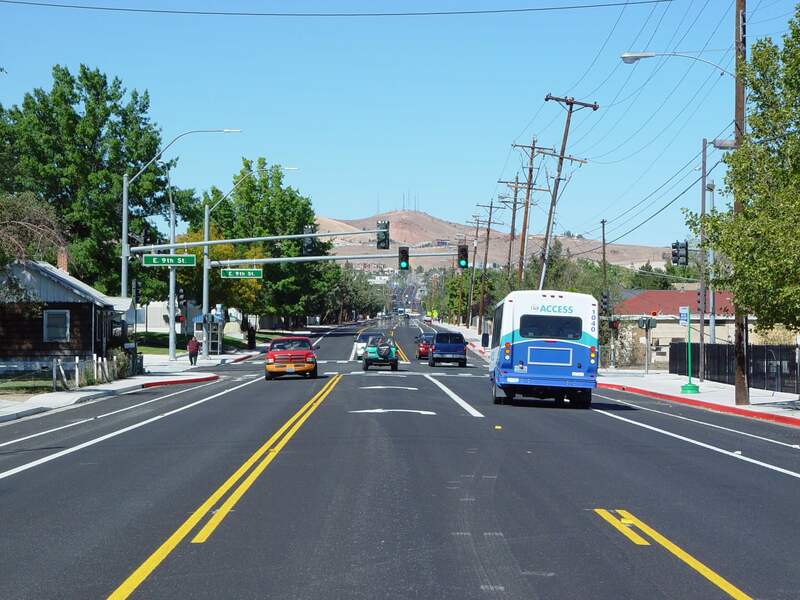 The Sutro Complete Street Project was awarded the Truckee Meadows Branch ASCE Outstanding Achievement in Civil Engineering - Transportation category April, 2014. 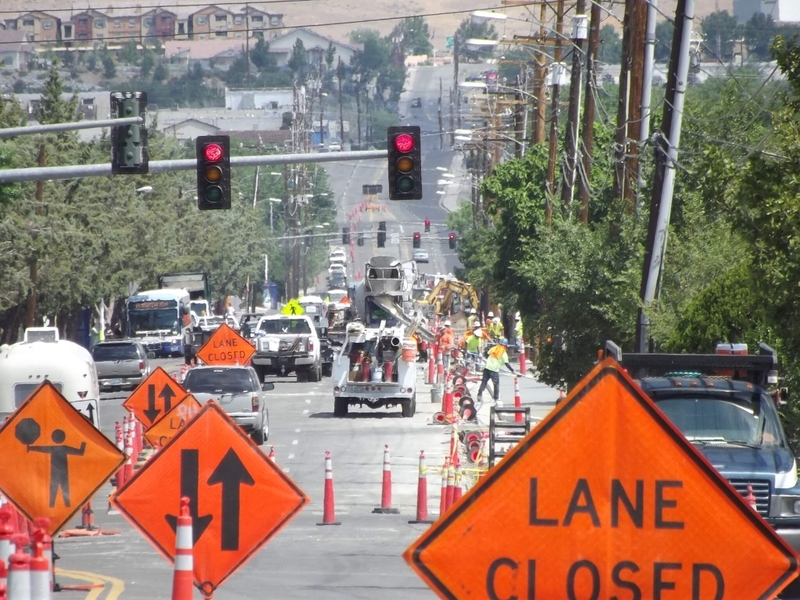 ESE provided civil engineering design, construction management, full time inspection and material testing services for the Sutro Complete Street project from 4th Street to McCarran Boulevard in Reno, Nevada. The Sutro Street design included civil roadway design, utility coordination, geotechnical investigation, final design plans and specifications, bidding assistance and engineering services during construction. The project included enhancing pedestrian and bus stop facilities, installation of ADA compliant intersections, replacing curb and gutters, and slurry sealing Sutro Street to improve safety, preserve pavement conditions, and promote alternative transportation modes. 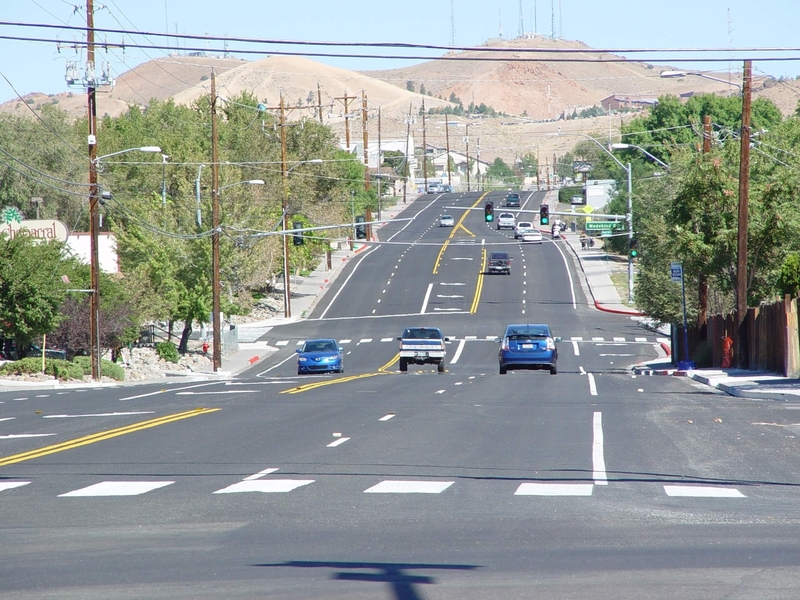 The overall project limits on Sutro Street included 4th Street to McCarran Boulevard with pedestrian improvements primarily planned from 4th Street to Wedekind Road. 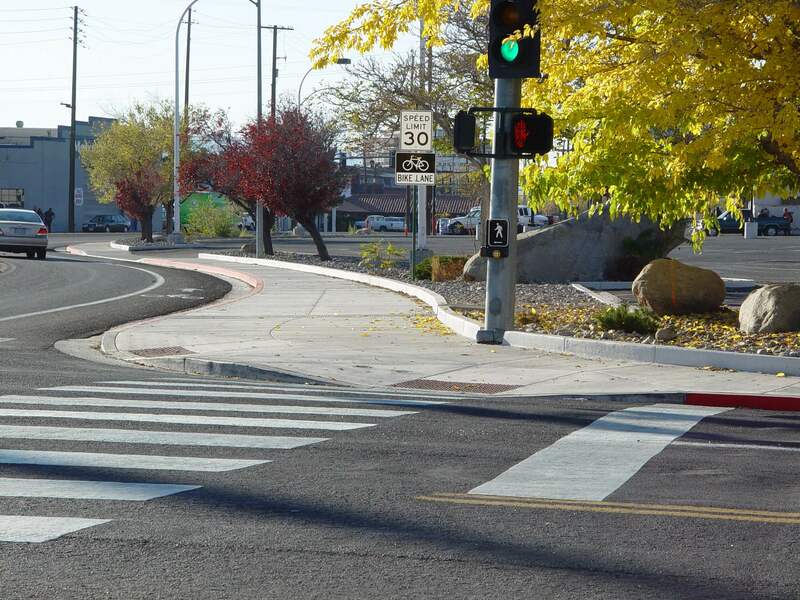 Pedestrian and transit improvements included upgrading pedestrian access ramps, widening sidewalks in several locations to maintain accessible sidewalks around existing utility poles, adjusting existing driveway grades, and installing traffic signal improvements. Additionally, bicycle lanes were designed for on this high traffic street to provide safer multi-modal travel and create a critical link in the regional bicycle network. ESE's services also included assisting the RTC in obtaining temporary construction easements (TCE) and permanent easements (PE) affecting 32 property owners both residential and commercial. A total of 42 TCE’s and PE’s were required for the proposed improvements. ESE conducted several Public Information and Focus Group meetings to present various conceptual layouts and obtain public input about project priorities. Once the ideal concept was accepted, the project was presented to and approved by the Reno City Council and RTC board of directors.